Which is a problem. NS was not the entire core of Naruto; really what killed Naruto was the Last/SP trying to force nH into being "the core." However, for Boruto BS is the core. The story is in-theory; Bolt training under Sasuke to take his place, and be the supporting shadow for Salad who dream is to be the next Hokage. Since that is the dream/goal of the main character. However, that has not been the focus on the manga (or the anime but we are focusing on the manga here). 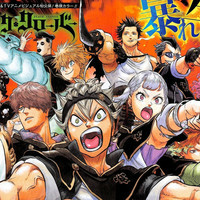 What has been the focus of the manga has been setting up the next generation's SNS conflict. Why are they doing this? Like I say, because Bolt nearly completed his dream in movie. So they should now be focusing on Salad's journey to become hokage, but because she is the daughter of Sakura they don't. So instead, just in case she becomes unpopular and replaced by the clone they started up Neo-SNS to replace it as "the core of the story." And these people have the gall to say "It is not a romance manga." Could have fooled me. They made a whole movie about one girl and her love and all these men all of a sudden wanting her...everything literally revolved around her. Even how "suddenly Sakura is Hinata's best girl friend." "Not a romance manga" my foot. I said this before. They NEED a justification of that "Hinata fan-fiction" of a movie when its very existence undermines and destroys the factors and arguments that they make up in their heads and threw at us at every turn; That Hinata is Naruto's SOULMATE and that they were destined to be together since her very introduction and that Naruto always loved her over that "prudish w*#&e" Sakura Haruno. (*sarcasm*) But the movie's very existence blows a hole of epic proportions into that argument and proves either way Naruto had NO DEVELOPMENT with Hinata until this point because why else does this movie exist? If Naruto is not a romance manga why does this movie need to focus on how he is now full of thoughts of Hinata and wants to "bam bam her" only then? Because then, they admit the movie was a pointless retcon and waste of time since they say Naruto never needed that development with Hinata for the relationship to blossom, but the movie says other wise, now doesn't it? In that very movie it ADMITS Naruto never gave Hinata any thoughts until this point. So, is the movie "NECESSARY or UNNECESSARY for NaruHina's romance?" The Hinata fanatics won't answer. But if Naruto WAS a romance manga then, AGAIN why does that movie need to be made to give Naruto and Hinata romantic development? Why does that movie show case how Naruto and Hinata fall in love in the span of a few days instead of being SO IN LOVE for all the years they have been together like NH cultists claim? Because then they'd be admitting; NaruSaku- Always there, NaruHina- Nil. In the manga, whom does Naruto spend time with when he's not working? Sakura. Whom did he tell his zombie father was his girlfriend pretty much when they reunite? Sakura. whose relationship does Minato x Kushina, Jiraiya x Tsunade, and Obito x Rin resemble? Naruto and Sakura. But if it was suppose to be Hinata, why wasn't it drawn or presented in the the manga directly? Again why was this movie even made? So does Naruto love Sakura or Hinata in the manga? The Hinata fanatics remain silent. As you have said yourself James, the NaruHina fanatics want to have it both ways, but they can't because saying one thing debunks the other thing. They say Naruto is not a romance manga, but then that admits Naruto was never in love with Hinata to begin with and that movie was NEEDED to actually start their relationship. But then that is also ADMITTING "what were we arguing for all this time?" because that is admitting NaruSaku was the dominant romance for all those years the manga was published and that Naruto's feelings for Sakura were always there whereas He did not notice Hinata until the movie but they can't ADMIT THAT since Hinata is Naruto's "one and and only true love" you see, and then that turns on its head again with "Why is that movie canon and necessary, why is that movie canon and necessary?" So then they delude themselves into the argument that Naruto is not a "romance manga" but all we have to do to destroy their minds is ask " so Naruto never loved Hinata then and that movie was needed to to justify their romance?" and then they will go: I NEVER SAID THAT!!!!!!!!! and then we will just keep pushing: So why does Naruto need to take til that movie to admit he loves Hinata? Does that mean he only loved Sakura until that point? And they scream : THAT IS NOT WHAT I MEANT!!!!!!!! And then we go: So did Naruto love Sakura or Hinata for all of the manga then? Either answer, I ask again, why was that movie made or even needed for Naruto and Hinata if they are so in love as you say? Edited by Phantom_999, 05 January 2019 - 04:56 AM. As you have said yourself James, the NaruHina fanatics want to have it both ways, but they can't because saying one thing debunks another thing. They say Naruto is not a romance manga, but then that admits Naruto was never in love with Hinata to begin with and that movie was NEEDED to actually start their relationship. But then that is also ADMITTING "what were we arguing for all this time?" because that is admitting NaruSaku was the dominant romance for all those years the manga was published and that Naruto's feelings for Sakura were always there whereas He did not notice Hinata until the movie but they can't ADMIT THAT since Hinata is Naruto's "one and and only true love" you see, and then that turns on its head again with "Why is that movie canon and necessary, why is that movie canon and necessary?" So you see they delude themselves into the argument that Naruto is not a "romance manga" but all we have to do to destroy their minds is ask " so Naruto never loved Hinata then and that movie was needed to to justify their romance?" Oh it is such a delicious irony. The one thing that makes NH canon is the very thing that destroys what little they had in the manga. Its mere existence destroys the very notion that NH was a possibility. I once said that the only way SS and NH could be canon is it would have to be one of the biggest retcons in anime/manga history and I was not wrong. The movie counteracts and even destroys the very scene that NH fans hold so dear...the Pein Arc confession. To them, this was such a monumental moment. Hinata confessed her feelings to Naruto....and according to the movie not only did Naruto not understand the entire scene, but he forgot about it and never even cared about Hinata for 2 years. Naruto the Last if proof that NH is and always will be a retcon. Canon means very little when fan don't believe it. Canon is a trophy made of aluminum foil that crumples under its own strain. If any development between Naruto and Hinata exists...Naruto the Last says "That's not important." If it was, Naruto would not have ignored Hinata for years like he did. I don't care how "oblivious to love" people claim he is, but no one is that stupid. "Naruto and Hinata getting together has proof in the manga"
Well, then why make the movie? If it was so obvious, then maybe Naruto the Last should have been about something else. "Naruto and Hinata got development in the manga"
Naruto the Last says Naruto didn't care about it. "Naruto is stupid when it comes to love." So does that mean you are admitting the Hinata confession meant nothing cause Naruto thought she meant food? Naruto the Last seems to think so. "Naruto loves Hinata with all his heart and he would do anything for her." Except walk her home at night letting her go by herself and not actually care about her. Sakura: "Hey Naruto, maybe you should ask to walk Hinata home?" That scene just sums up NH so well. As cringe as the movie is, it blatantly says "Naruto didn't give a crap about Hinata or her love in the manga until someone else told him to care about it." Sakura, Shikamaru, even the villain Toneri; all had to persuade Naruto to look in Hinata's direction. Her love is so pathetic that not even Naruto could see it. How obvious can they truly say it is when even the main character, who that love is for, is so oblivious to it all. I mean, I could understand if they were being really subtle and not being open about it, but Hinata's confessed right to his face...AND HE STILL IGNORED HER.....FOR 2 YEARS. The proenders have a choice. Either Naruto the Last is canon and Naruto is brainwashed to love Hinata or Naruto the Last is not canon and NH is a retcon. Either way, it does not look good for NH being a believable love story. So the proenders are right. NH is obvious.....obviously a retcon to force push a pairing to try and get people to buy more Naruto stuff. And while I don't think NS could have saved the ending overall...it would have made things a lot better for not only Naruto, but Sakura as well. She would have shown to let go of her silly crush and actually grow up. This is why the characters had to regress in their mind and development because there is no way any female would be this dumb to date a man like Sasuke after what he did or even any female still be attracted to a man who pays her no attention for 2 years. So in conclusion, NS would not have saved the ending or what damage was done in the war arc, but the manga still would have been far better off than what we have now and MAYBE people would have had a chance to forgive the mistakes. Now the mistakes keep piling. Naruto is not a romance manga, but it is not a shounen either. It is just a pile of mud. It doesn't know what it wants to be anymore. It is trying so hard to cram so much into one story. If this is supposed to be a shounen, it has too much romance as a focus and not enough good shounen morals that teach to young kids. If this is supposed to be a romance manga, it has too little romance to justify why the characters got with who they did get with. Naruto the Last makes a great shojo though if you ignored 15 years of the manga and Hinata is the main character. Edited by James S Cassidy, 19 December 2018 - 05:37 PM. Yeah Oblivious to love he is, the guy that flirts and blushes around the "girl of his affections"